Oh, please, let that be true about Emmert. 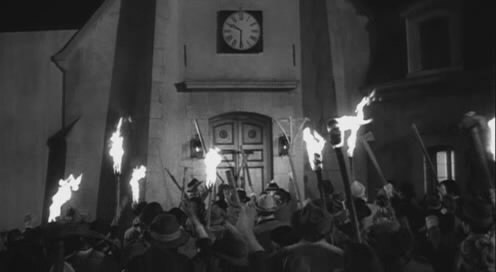 If the torches & pitchforks crowd turns their attention to that pantload, I'm going to Home Depot to buy a pitchfork. There are now several articles out all saying the same thing. And, when it comes to Emmert and the NCAA, an article printed by the media is all I need to be convinced of their guilt. the Emmert has hit the fan!..." I am on record multiple times here lamenting the loss of due process at the hands of the social media / media mob. I would like to also think I strive to be consistent and say we are nation of laws and we can't simply run people out on a rail on emotion. But I'm trying real hard Ringo to be righteous man and not sign up for every media platform known to dog that jerk Emmert. If he ends up kicked out or better yet in jail Christmas came way early. Last edited by sameoldlama on Sun Jan 28, 2018 9:22 pm, edited 1 time in total. I would like to also think I strive to be consistent and say we are nation of laws and we can't simply run people out on a rail on emotion. I agree. But in the case of Emmert, you have a pompous assclown who previously exploited a wave of emotion in the PSU case. He inserted himself in a tragedy that was already being handled by the proper legal authorities in an attempt to join the ranks of the self-righteous and score PR points for his corrupt organization. It would be poetic justice if another wave of emotion caused him to be run out on a rail ... preferably covered in tar & feathers. That said, worst case scenario is probably a resignation with a monster severance package. psu_dad wrote: I would like to also think I strive to be consistent and say we are nation of laws and we can't simply run people out on a rail on emotion. I suppose a criminal trial with a conviction for MSU and PSU abuse is too much to dream? Emmert issued a statement saying his office handled the MSU situation properly - which I find somewhat vexing - because had it been handled properly there should not have been reoccurrences of the problem. I suspect much like Spanier, Simon et al he will likely walk away with a sizable check. I think DT could win this entire board over for just one day if he found a way to bring the weight of the Federal Govt (maybe via a Title IX) lawsuit on Emmert and the NCAA. I don't understand something. MSU also said they did nothing wrong but I could swear I saw that the NCAA is investigating anyway. So, is it that we are not just taking people's word for this? Someone needs to hold Emmert to his own standard. Someone needs to make him have to answer for this. And, I vote we bring in Louis Freeh to do just that.